applying for this recruitment test in upcoming days. 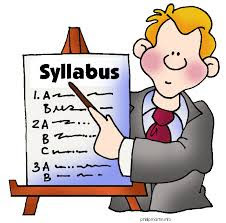 Dear candidates you are suggested download Syllabus WBPSC Miscellaneous Exam Syllabus so that all the topics can be in front of you for the effective preparation. Now willing candidates may prepare according to Prelims-Mains Exam Pattern to get good marks. Dear appliers previous years papers are also very much necessary to enhance the study for upcoming exam. Such job grabbers who had applied they are suggested to download WBPSC Misc Exam Syllabus through online mode and visiting official website of organization. Prelims-Mains Exam Pattern subject Wise with syllabus is announced n this web page in one view to download for appliers those who are going to appear in Recruitment exam. WBPSC Pre and Mains exam is going to be conducted one by one for those individual has applied. So candidates you can go through Exam Syllabus as per their stream for which candidate had applied. WBPSC Prelims-Mains Exam Syllabus will possess subjects such as General Studies, General Aptitude, English and other is provided below. Further details telling about WBPSC Miscellaneous Exam Syllabus are provided below for all the visitors of this portal. Best of luck!! Correct use of words, correction of sentences, use of common phrases, synonyms and antonyms etc. The examination will consist of only one paper containing 100 multiple choice objective type questions. Each question carries 2 marks each on General Studies (150 marks) and Arithmetic (50 marks) and having 1½ hours duration. Paper-II: Bengali/Hindi/Urdu/Nepali/Santali and Paper-III: General Studies and Arithmetic. Full Marks and time for each of Papers - I & II will be 150 and 1½ hours respectively.